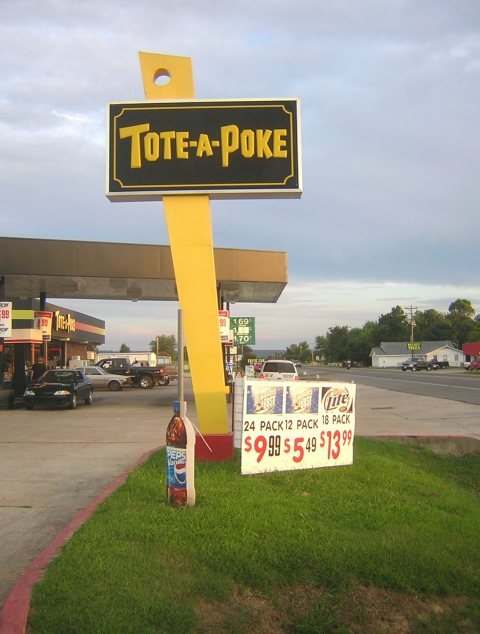 Tote a Poke is a small regional chain of C-stores in eastern Oklahoma. 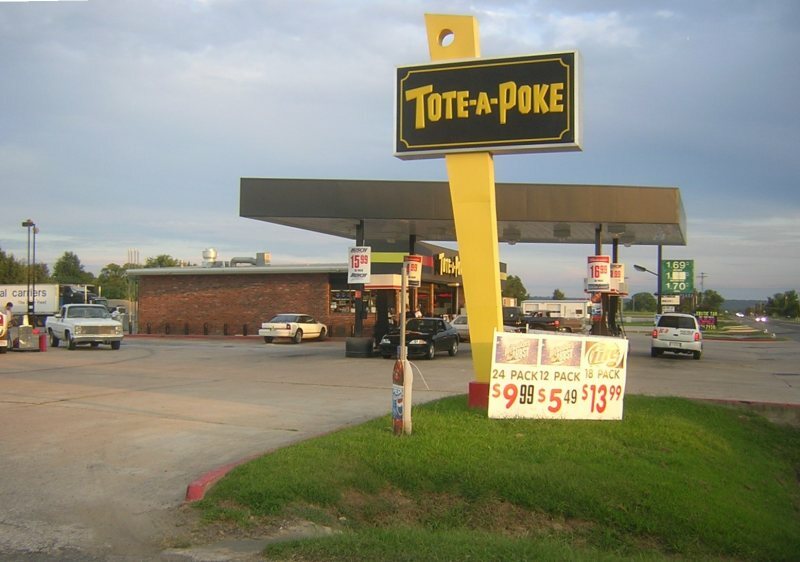 This one is on OK 112 in Pocola, OK.
A shot of the whole station above. Taken Aug. 8, 2004 by David Backlin.